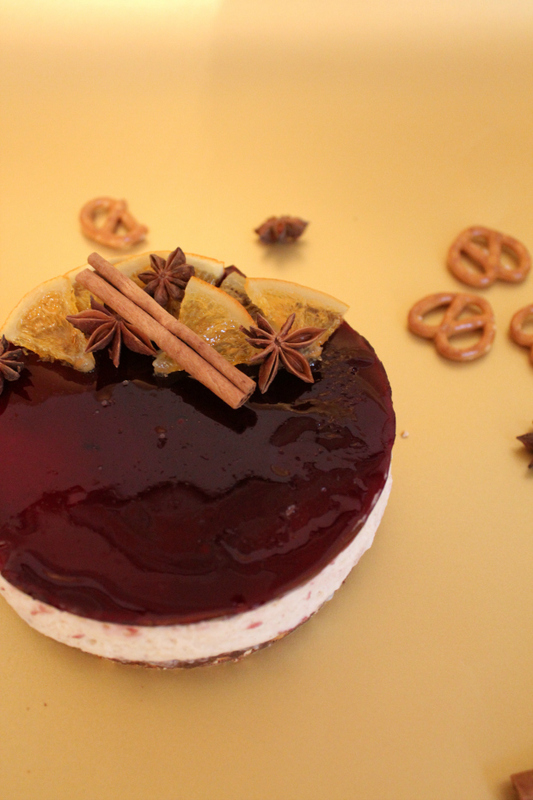 First off, my Christmas market inspired recipe is this mulled wine cheesecake. I’m actually not the biggest fan of mulled wine itself; I never drink it quickly enough and I end up with a mug half full of lukewarm, spiced red wine…But this no-bake cake is to die for, really easy to make and so festive. You’ll just need to be patient, as it has to sit for about five hours in the fridge. There are several recipes available on the internet but below is my own take on this cheesecake. 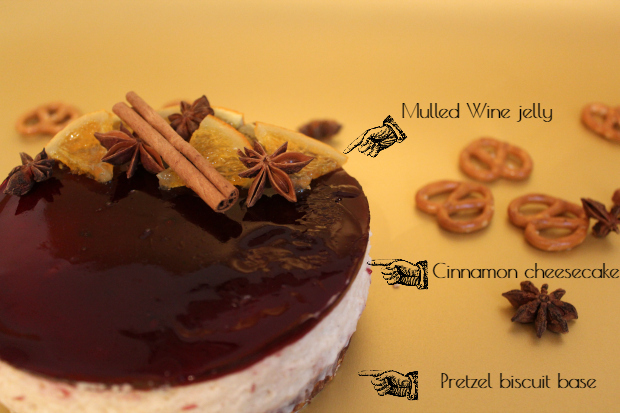 For the biscuit base, I mixed some speculoos (spice shortcrust biscuits) and pretzels, while the cheesecake itself is flavoured with cinnamon. Finally, on top, is a mulled wine jelly which will probably not get you tipsy but will definitely get you in the mood for Christmas. Grease a spring-form 20cm cake tin. Crush the speculoos and pretzels together until you get a fine crumb. Mix with the melted butter and press firmly into the base. Leave to set in the fridge for 30 minutes. Soak the five gelatine leaves in a bowl of cold water for 5 minutes. When soft, drain the water and transfer the gelatine to an empty saucepan and heat over a low heat until melted. Beat the cream cheese. Add the melted gelatine and the cinnamon and mix until well combined. Separately, whisk together the eggs and 100g sugar for 4 minutes until pale and thick. Fold into the cream cheese mixture. Pour onto the biscuit base to leave to set in the fridge for at least three hours. Soak the gelatine leaf in cold water. Meanwhile, gently heat the mulled wine. Remove from the heat and add the drained gelatine and 15g sugar. Once the mixture is cool, carefully pour onto the cheesecake and leave to set in the fridge for another 2-3 hours. 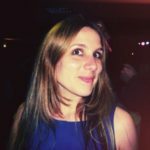 I use ready-made mulled wine but it's dead easy to make mulled wine yourself by just heating red wine with spices such as cinnamon, star anise, cloves and nutmeg.